The console fuel gauge is hard to see! All original factory console gauge option Camaros included a visual Low Fuel warning light in the dash. 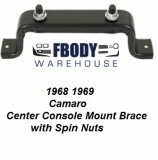 Exceptional quality, USA made Low Fuel module installs as original to the back of the 1967 console gauge assembly. May be used with other vehicles. 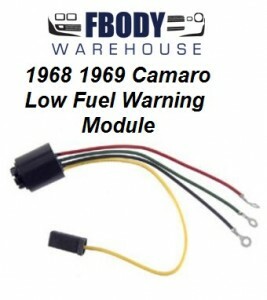 1968 - 1969 Module provides a Ground to an indicator light. With instructions for Camaro. 5 year warranty.